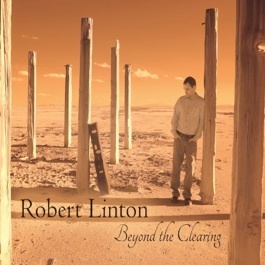 Beyond the Clearing is the fifth album from acoustic guitarist Robert Linton, following his critically-acclaimed 2011 release, Throughout the Autumn Light. Much like the earlier album, Beyond the Clearing is a collection of nine original pieces composed as duets for guitar and other instruments (piano, violin, flugelhorn, cello, English horn, a second guitar, and EBow guitar). The album features an impressive group of artists that includes Heidi Breyer, Jeff Oster, Jeff Pearce, and Jill Haley and was mixed and mastered by Corin Nelsen, one of the best in the biz. 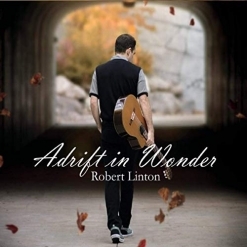 Linton’s finger-style nylon-string guitar playing is lyrical, melodic, and very relaxing. The quiet tone of the entire album makes it perfect for soothing background music, but give your ears a treat and listen it with full attention to savor the subtle nuances and gentle beauty of each piece. It is interesting to note that in 2012, Throughout the Autumn Light and Whisperings at Nightfall were added to the music library of The C.A.R.E. Channel, a program of Healing Healthcare Systems that is played in more than 700 leading hospitals around the country. Beyond the Clearing begins with “Aside the River Bend,” a duet for guitar and violin (Sara Milonovich). Its peaceful, visual quality evokes images of a lazy river meandering through a quiet forest or rural setting - a lovely start! “Gathering Over the Surface” features one of my favorite pianists, Heidi Breyer, who adds tonal color and grace without calling much attention to herself - a gorgeous piece! “Lingering Rustle” is a duet with Jeff Oster on flugelhorn. Although the combination of instruments seems a little odd, the piece is warm and dreamy and works seamlessly. “Shadowing the Hillside,” a duet for guitar and cello (Kitty Thompson), is a favorite. Poignant and wistful, it suggests images in soft shades of gray. English horn virtuoso Jill Haley joins Linton on “Stretching Across the Horizon,” a piece that eloquently defines blissful tranquility without using a single word - a soothing mind massage and another favorite. “Beneath the Cloudless Sky” features another one of my favorite musicians, Jeff Pearce, playing EBow guitar. (The EBow is a hand-held electronic bow that replaces the pick, allowing the guitarist to mimic strings, horns, and woodwinds - Pearce is a master.) Ethereal and ambient, it’s a beautiful way to close this impressive album. If you are looking for a great musical escape from the stresses of everyday life, Beyond the Clearing is an excellent choice! 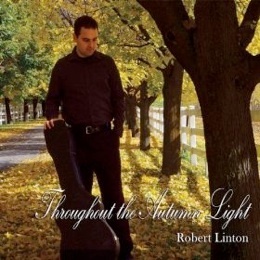 It is available from robertlinton.com, Amazon, iTunes, and CD Baby. Recommended!